MentorcliQ​ hopes to combat the downsides of being a remote worker. 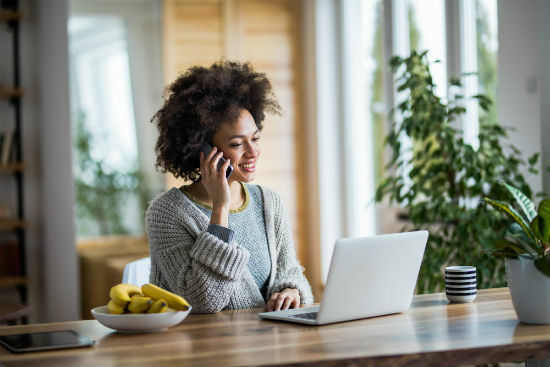 Many of us long for a day where we're doing well enough professionally so that we can ditch the office life and spend every day working from home. But as a significant amount of people around the world are setting up remote offices, we're finding that, without the office culture and day-to-day interactions with co-workers, working from home is leading to increased depression and anxiety for some workers. By offering counseling through Skype or over the phone, the remote counseling company MentorcliQ aims to give remote workers the mentoring and social experiences they're missing out on by not commuting to an office every day. We spoke with Paul MacCartney, Chief Learning Officer at MentorcliQ, on how employee mentorship can combat loneliness among remote workers. 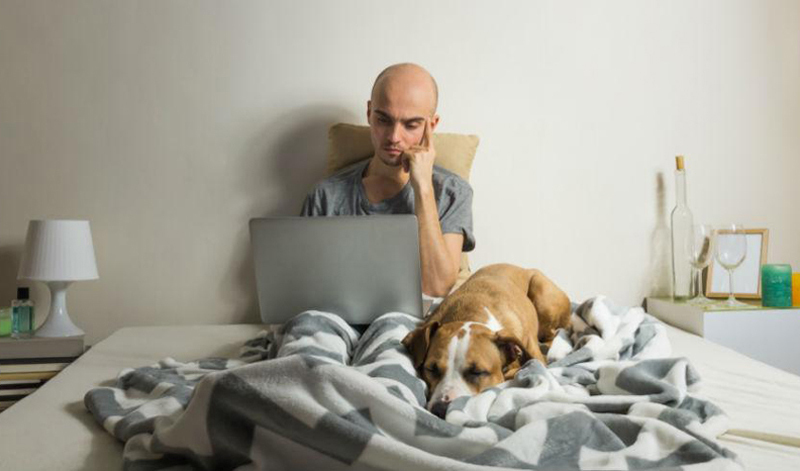 It seems as though more people these days have a goal of working from home. But what some people might not understand is the loneliness and isolation working from home can bring on. What first alerted you to this new modern phenomenon? It’s interesting because a recent Gallup poll showed that 43 percent of the workforce in the United States works out of the office at least part of the time. That number is up a whole lot. Ten years ago, I was in a role where I was traveling a lot for work internationally. I could be in three different continents in four weeks. You had to do that because that’s how you built the relationships and the facetime and all of those kinds of things. With the advent of the technology that we are all now familiar with, it really has shifted the very nature of work and we’re all experiencing that. Using myself as an example, 10 years ago, I would be traveling up to 50 percent of the time. Now I have two domiciles and one of my domiciles sits in the same city as our corporate headquarters. I find that, even when I’m in that same city and I’m 1.1 miles away from the corporate office, I find that I still work from home a couple days a week! The reason we all leverage that trend of being able to work remotely is because you can get more stuff done. There’s a benefit of being able to work remotely, and that’s why a lot of people are doing. The downside that we are all experiencing, is that it is a different dynamic. It’s not the same if you don’t have the face time. You do have to offset some of those downsides of working from home either full time or part-time. We became aware of it with the rest of the U.S. and global workforce, and have definitely seen the mentoring aspect and mentoring automation as a significant way to offset that. What kinds of counseling does MentorcliQ offer to people who feel lost while working from home? In talking about this phenomenon, I start with a real definition of the problem. One definition of the problem, from a mentoring perspective, is when you are working in a remote work environment that “water cooler” is not there. The phrase that I use when talking about it is that “in the absence of happenstance, you need to create circumstance.” By that I mean, those water cooler conversations are happenstance. It may be you’re walking down the hall and you bump into someone and you strike up a conversation. But, that happenstance creates the opportunity for either a business conversation or a relationship development. When that happenstance isn’t there, organizations are well served to become more explicit about it and to create the circumstance for those interactions to happen. The mentoring relationship is one of the most perfect ways to do that. When you think about the relationships that are had in the workplace, the vast majority of those relationships are there because they ensure to the benefit of the organization. Your boss, your colleagues, all of those relationships are there for the benefit of the company. The one exception you could say is human resources. With that said, that relationship is 50 percent or greater for the benefit of the company. Whereas with the mentoring relationship, there is a benefit to the company, no doubt about it, but at the core of that relationship is the mentee. The mentee is there for their progression through the organization. It is uniquely one of those relationships that is there for the employee and participant in the program. So, between the fact that mentoring makes explicit and promotes the idea of having a relationship that is not just work oriented, it creates and drives a relationship where an individual can become more connected to their colleagues and thus also back to the organization that is sponsoring the mentoring program.